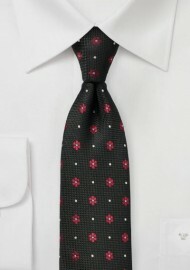 This classic black and burgundy tie features a matte woven background paired with woven blossoms and tiny polka dots. A great tie for shirts in white, gray, light blue, black, and maroon. 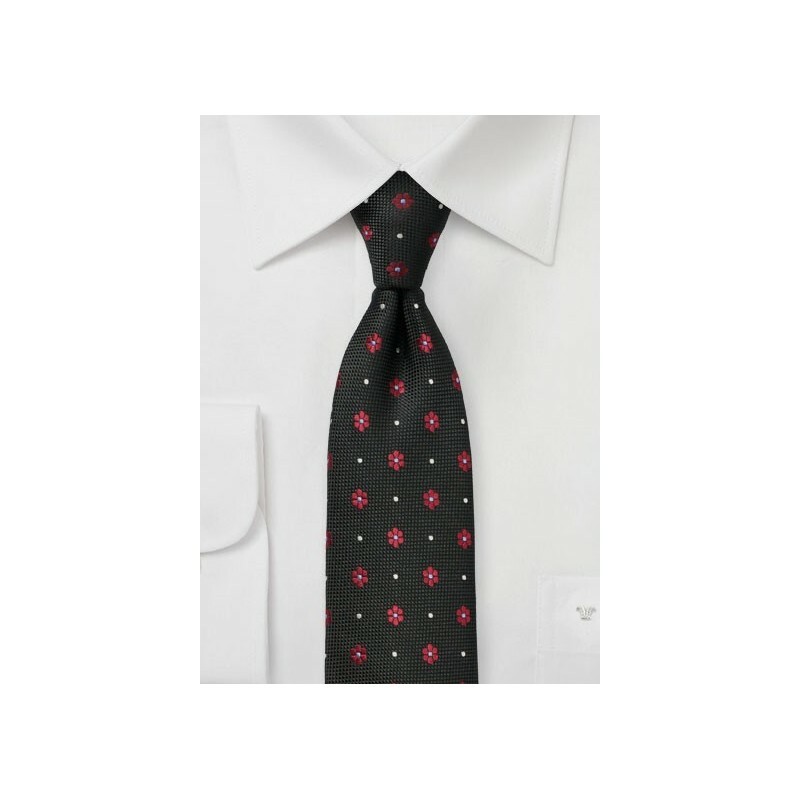 The slimmed down cut of 2.75 inches adds to the modern look of this otherwise classic tie. Made from woven microfiber.